We recommend using creatine continuously. The recommended daily dose is between 3 and 5 grams. Continuous creatine intake – on exercise and training days as well as training-free days – promotes increased performance and muscle-building. 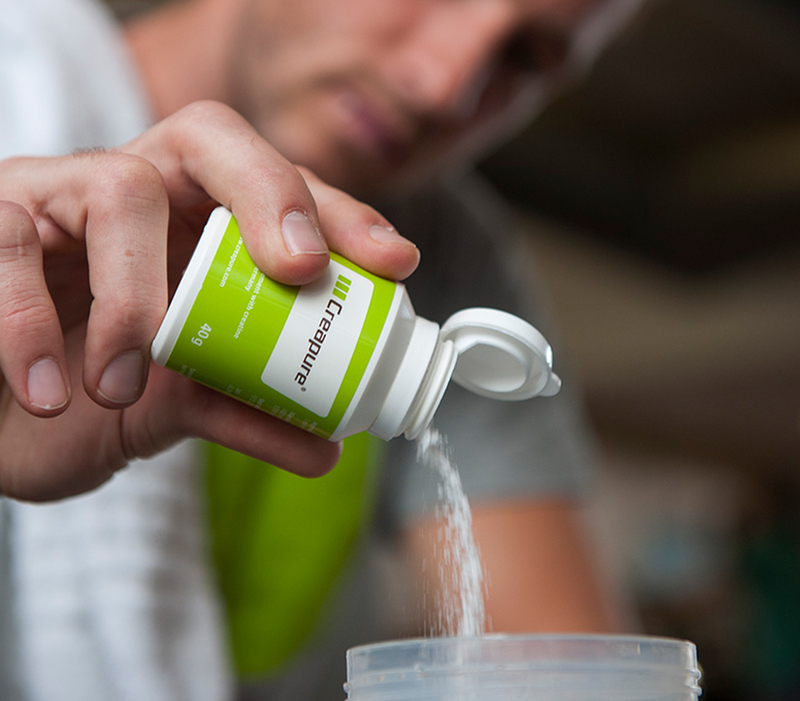 The supplementation of creatine monohydrate has been proven to have positive effects on the body during the intake period and is rated as safe at the recommended daily dose. Many articles can be found on the Internet which advise against the continuous intake of creatine and instead recommend a so-called charging phase, beginning with a higher dosage and then reducing the dose after five to seven days. However, charging phase strategies are unnecessary. Studies show that creatine levels in the body in the case of an intake of three to five grams daily after three to four weeks are just as high as after a higher dosage intake at the beginning. In addition, long-term administration with a daily dose of 3 to 5 g is safe. Here you will find a selection of Creapure products, which stands for high-quality, pure and safe creatine, manufactured in Germany.